Nurses hat / cap made from 14 pt. high density white paper board is liquid laminated for a high gloss finish; with elastic band. 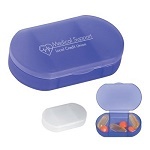 Ideal for schools, health fair, nursing schools, career days, doctor's offices, clinics, hospitals, medical care facilities, parties, job fairs, graduation parties, professional schools, children etc. 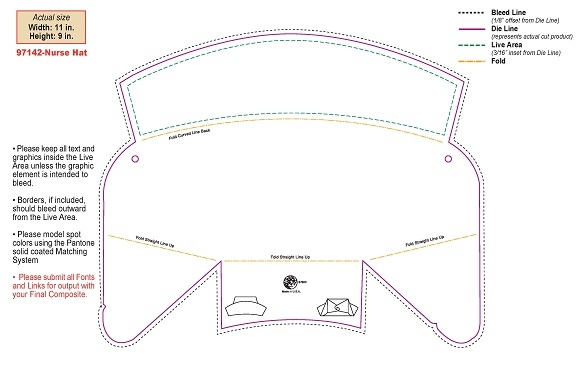 Ships flat with minimal assembly. 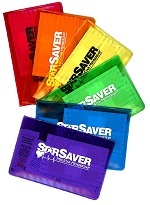 Note: Price includes one standard color imprint on one side. 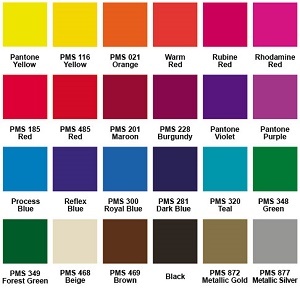 Custom PMS Color Match available for $20.00 per color. Please provide PMS color # when ordering. Production Time: Approximately 7-10 business days after proof approval. 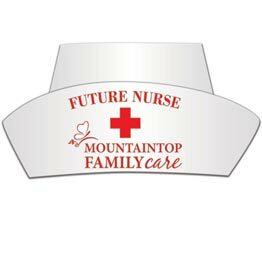 Printed promotional nurses hats makes coming to the doctors clinic a positive experience.